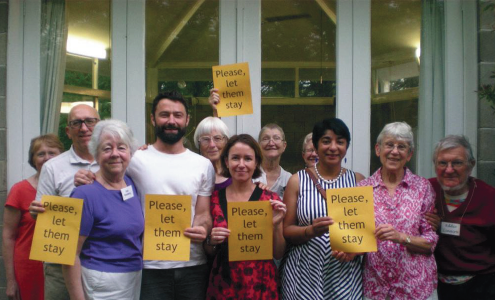 Canberra Regional Meeting (CRM) members have forged relationships with Quakers around the world. For example, we are affiliated with the Friends World Committee for Consultation (FWCC) and are part of the Asia West Pacific Section. These connections make it possible for CRM Friends to be in touch with Quakers internationally – enabling the growth of personal relationships and enabling us to work together on peace issues and other global concerns. We also have a Quaker voice at the Quaker United Nations Office, an organisation that is sponsored by FWCC.